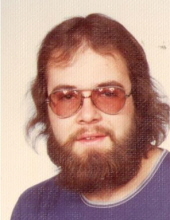 EDGERTON--- Charles “Charlie” E. Lund, age 59, of Edgerton, passed away on Monday, April 8, 2019, at Agrace Hospice Care, Fitchburg. He was born in Edgerton on September 27, 1959, the son of Charles and Ethel (Nikolie) Lund Jr. Charlie was a 1977 graduate of Edgerton High School. After graduation, he worked for 3 years at Hessian Automotive, where he learned his trade in automobile restoration. He later moved on to Tri City Corvettes where he worked for over 20 years. He was a member of St. John Evangelical Lutheran Church, Edgerton. Charlie enjoyed hunting, fishing and trapping. He is survived by his son, Keith Dillon-Lund of Edgerton; sister, Barbara Lund of Milton; 2 aunts; June Lund Hess of Edgerton and Betty Ponto of Ripon; an uncle, Gustav (Valois) Ponto of Neshkoro; friend/mother of his son, Joan Dillon of Janesville; and numerous cousins and friends, including his “Charlies Angels” Jackie, Mary and Wendy. He was preceded in death by his parents; grandparents; aunts and uncles: Orlo Ponto, Walter and Audrey Nikolie, LeRoy Ponto, Don Hess, Margie and Earl Staff and Donald and Beverly Lund; and cousin, Dennis Hess. A Funeral Service will be held at Noon on Saturday, April 13, 2019, at ST. JOHN EV. LUTHERAN CHURCH, Edgerton with Rev. Carl Seeger officiating. Visitation will take place on Saturday from 11:00 a.m. until the time of service at the church. Burial will be held at a later date at Fassett Cemetery, Edgerton. APFEL EHLERT FUNERAL HOME & CREMATION SERVICE, Edgerton is assisting the family. To send flowers or a remembrance gift to the family of Charles "Charlie" Edward Lund, please visit our Tribute Store. "Email Address" would like to share the life celebration of Charles "Charlie" Edward Lund. Click on the "link" to go to share a favorite memory or leave a condolence message for the family.